In hidden europe 54 we feature a long-distance hiking trail in the Balkans, visit chess-mad Yerevan and spend a night in a castle in Austria's Burgenland region. We explore the art of salt harvesting in Lanzarote and combine our passion for wine and rail travel by reviewing some of the finest train trips through Europe's premier vine-growing regions. All this and much more besides. Now here’s your starter for ten. Which one-time French département became a Russian territory before joining the United States? 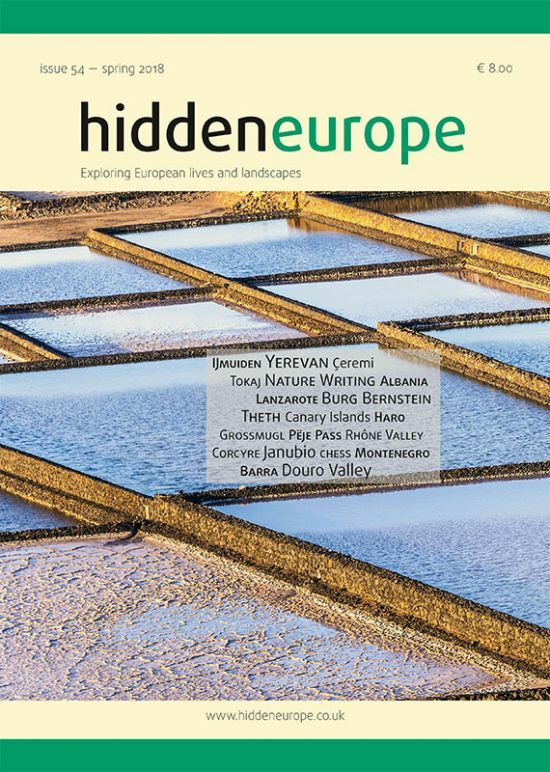 You’ll find the answer tucked away within the pages of this issue of hidden europe — in which we also roam from the Albanian Alps to the Canary Islands and from the North Sea to the Caucasus region. We reflect on walking and words in the pages that follow. Travel writing has been much enlivened recently by the arrival of a whole new cohort of writers who bring fresh perspectives on landscape and place. So we explore New Nature Writing and its antecedents, noting that poets from Gavin Douglas to Basil Bunting had an enviable capacity to write with tender sincerity about landscape. We are very pleased to welcome four guest contributors to this issue of the magazine. Rudolf Abraham, Emma Levine, Duncan JD Smith and Diego Vivanco have all written for us before, and we are mightily grateful to them for their contributions to this issue. Rudolf introduces us to a new long-distance hiking trail in the Balkans, while Emma opts for a more sedentary pastime, losing a chess match in Armenia. 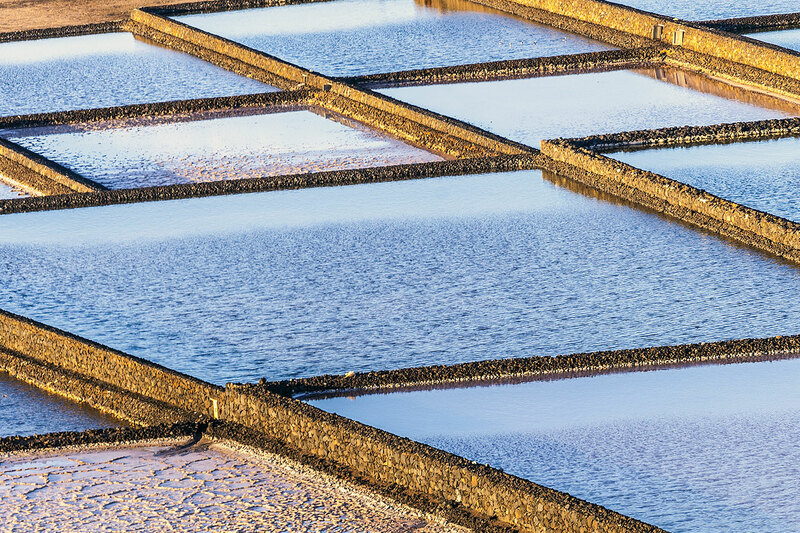 Duncan spends a night in a castle in Austria’s Burgenland region and Diego meets salt workers in Lanzarote. We only now realise it’s the first time that we have had a Canary Islands feature in the magazine. Regular readers of hidden europe will surely have discerned that we rather like train travel and are also partial to a good glass of wine. In this issue of the magazine, we have a feature that melds these two passions, as we review some of the finest train trips through Europe’s premier vine-growing regions. Railways underpinned the development of the wine industry and now form the basis for sustainable tourism in these areas. So how did you fare with our opening question? Not quite there? Well, here’s a further clue. There were two more short-lived French départements in the same region. Both have slipped from the map of modern France. They were called Ithaque and Mer-Égée. Well, we are off to study our maps and open a bottle of wine. A white from the northern Rhône, if you are interested. We wish all our readers happy travels in the upcoming spring season.